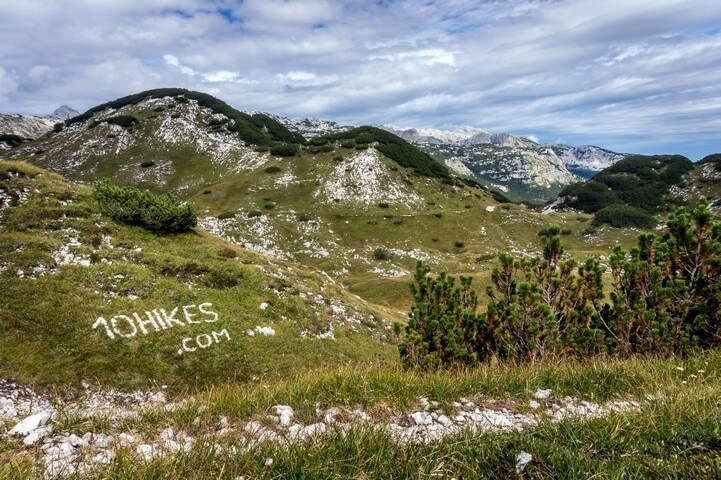 The hike to Komna and Lanževica is a wonderful day out. 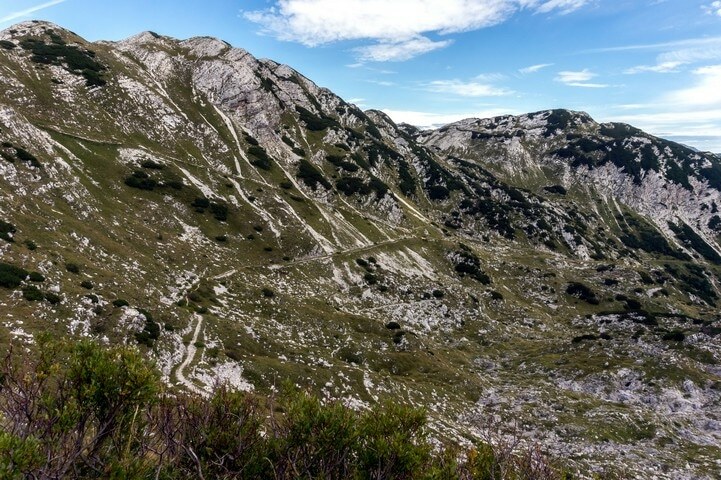 As you hike around the area surrounding the Komna plateau, you might think that Mount Lanževica is not really stealing much attention. 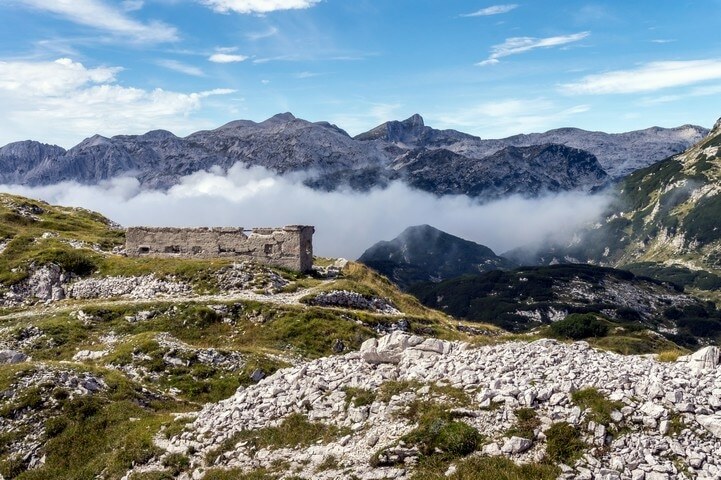 But, this domed peak is for sure one of the most panoramic points in the Julian Alps. Expect a pleasant, but long, hike with the constant smell of pines. From Bled drive 26.0km to Ribčev Laz (at Bohinj Lake). Continue on the left side of the lake in the direction of Ukanc. At the camping site, proceed straight up the hill for Savica waterfall. In about 4.0km park at the Savica hut (Koča pri Savici). Yes, in Ukanc at the Bohinj lake area. From the parking, follow the wide path on the right side of the Savica hut (in the direction of Komna and Savica waterfall). After a few minutes you will reach a small wooden house, The Savica waterfall entry point. You’ll follow the path straight, in the direction Komna (the path to the right is for the waterfall). From here follow the old military, switchback mule-track. After 48 hairpins the path leads into a plain valley called Pekel (Hell Gorge). Follow the markings for the path, and turn right at the intersection. The ascent continues on a minor grade. Soon you will be able to spot Komna hut. Take the left path at the crossroads. 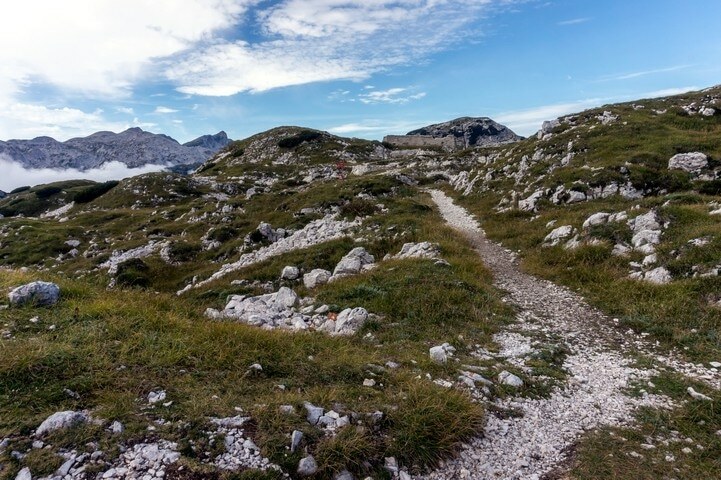 Just a few steps ahead, turn left again in the direction Dom na Komni (right Koča pri Triglavskih jezerih) and, keep going until you get to Komna hut. 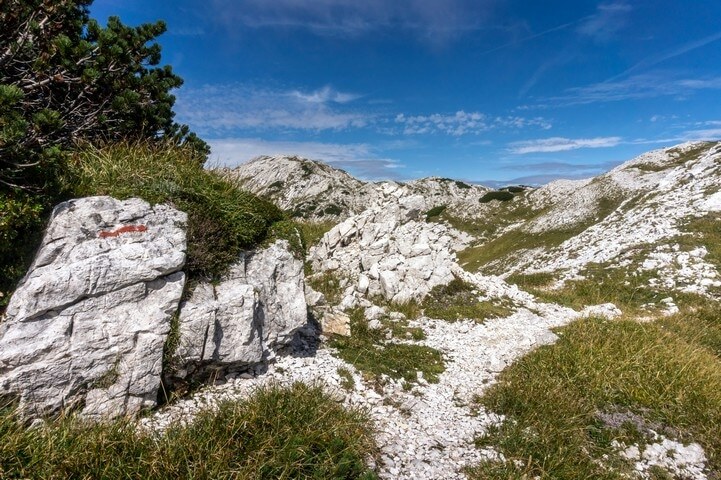 After enjoying Komna hut, follow the path behind it in the direction of Bogatin hut (Koča pod Bogatinom). After fifteen minutes of easy walking, the valley opens and you’ll reach the pyramid-shaped monument dedicated to the victims of WW1. The hut is a few steps to the left. After you spend time at the Bogatin hut, walk in the direction of Bogatin and Krn. A wide path leading us up, towards the Bogatin saddle (Vratca). A few hundred metres under the saddle, you’ll reach a junction. Both paths lead you to your destination, but you should choose the left one. It is a much more comfortable grade. You will reach the Bogatin saddle in about fifteen minutes. 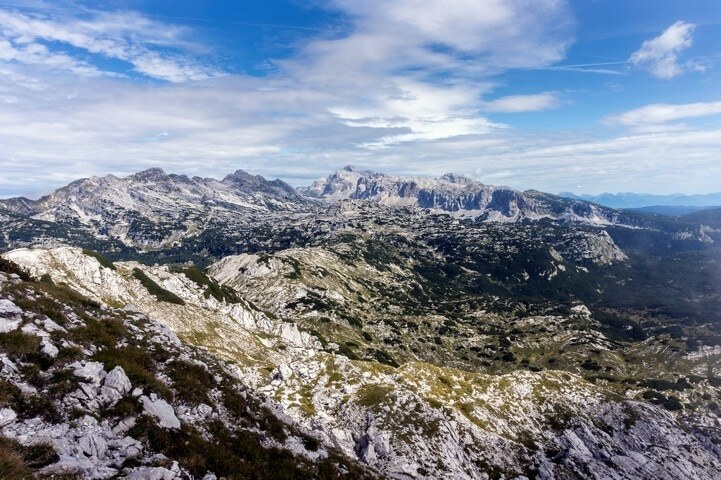 Views of the Primorska region and Mount Krn spill out before you. There are also some military remains at the top of the saddle. 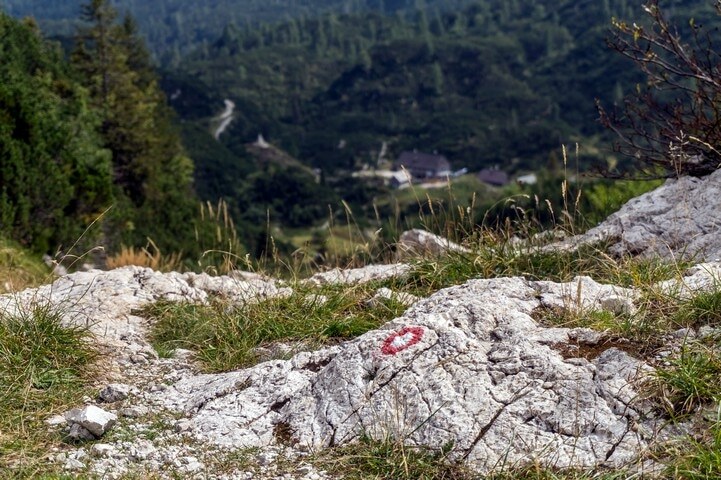 Find the path going north; it’ll be about 50m east of the military remains in the direction Lanževica (there is a sign on a larger rock). The path continues to climb, and it passes over a wide ridge. Approaching the slope to the left, we pass a crossroad. Follow straight up the hill. 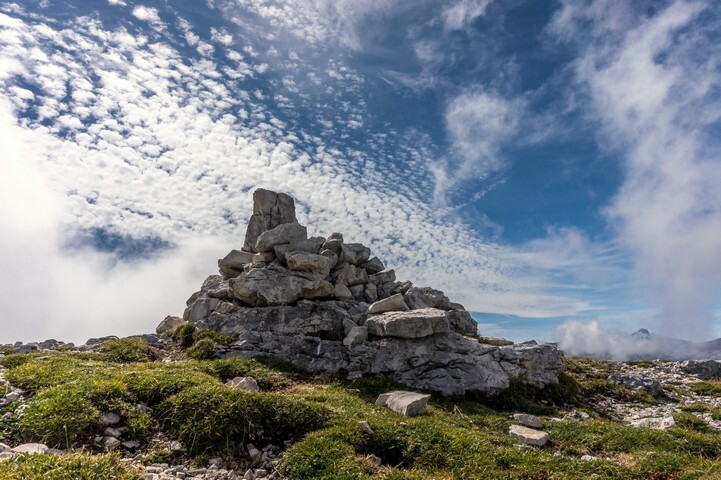 In about twenty minutes you will reach the top of Mount Lanževica. After enjoying the summit, descend back to the crossroads and take the path to the left. Leaving a plain ridge, follow the path down the rocky slope. Soon you will get to a flat meadow. 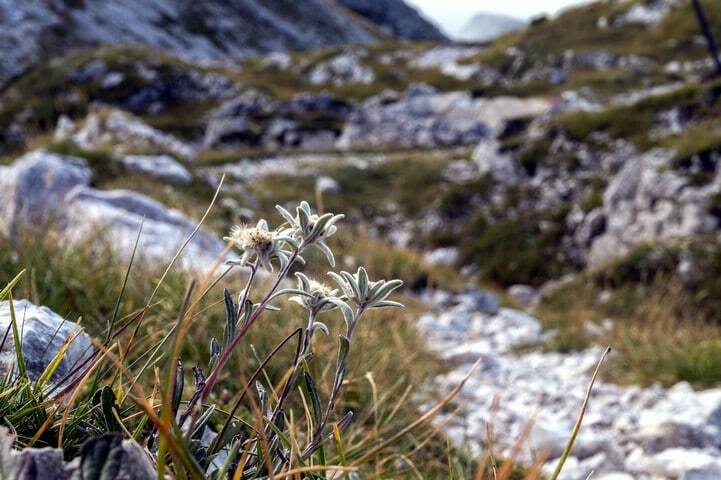 On the long, warm summer days you should lay back for a moment and just enjoy the peaceful and pristine natural environment of this magical place. The path walks around the meadow and passes through a collection of pine bushes. Crossing an old stone bridge, you will get to a crossroads. Go right in the direction of Dom na Komni (Komna hut). Head down the grassy path and you will reach a small valley. At the southern edge of the valley, the path drops down and you will spot the Bogatin hut again. In about ten minutes you will be back on a familiar trail. 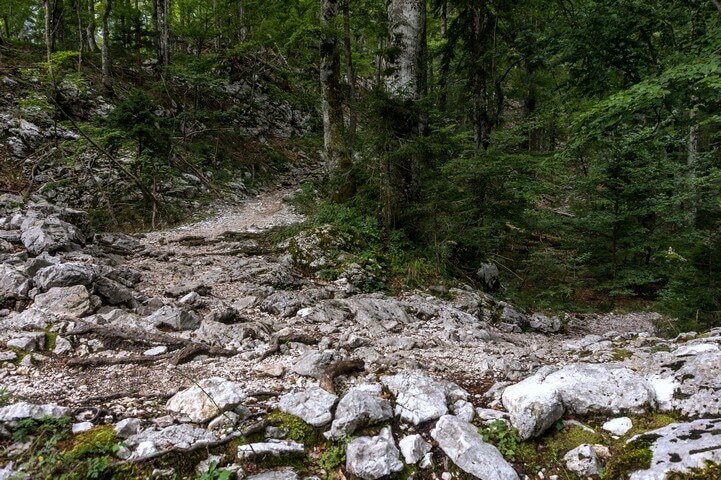 Follow the path back to Komna hut and descend back to Savica. We don’t like doing this hike (or any hike really) in fog. If there is fog you will have some problems with orientation, so be sure to have a full battery on your smartphone or gps device, and/or carry a compass and a map. 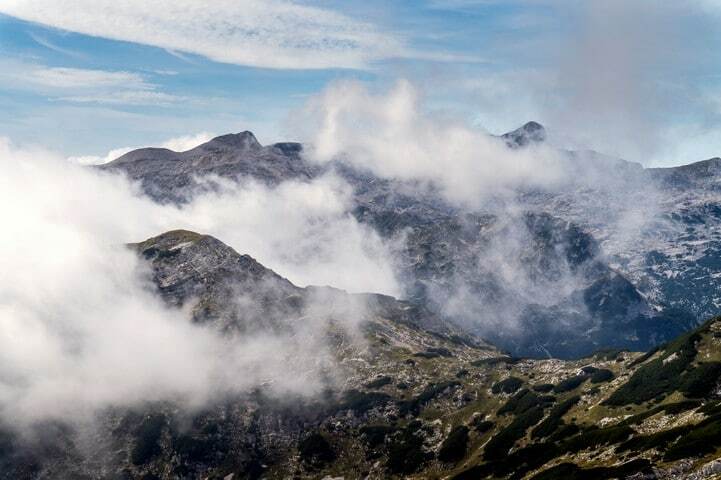 There is a nice view to the Bohinj lake on the southern side of Komna hut. 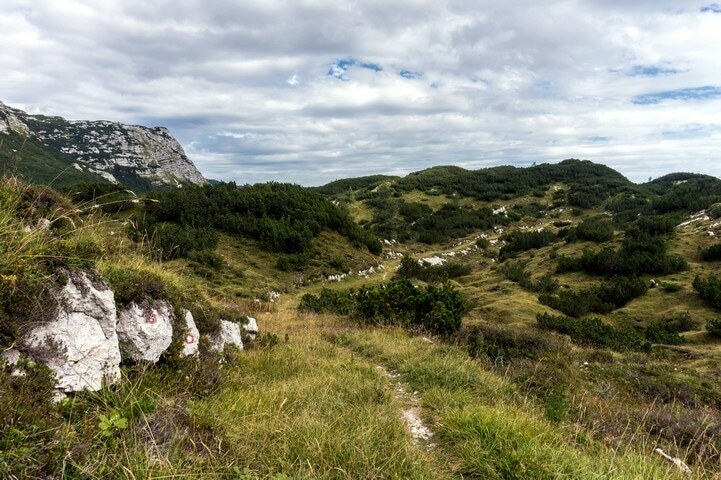 The Komna plateau and the Bogatin hut area played a significant role in the WW1. Check out the info table at the Bogatin hut area. Be sure to visit the gorgeous Savica waterfall at the start of the hike. The waters of the Valley of the Triglav Lakes feed the beautiful water feature.